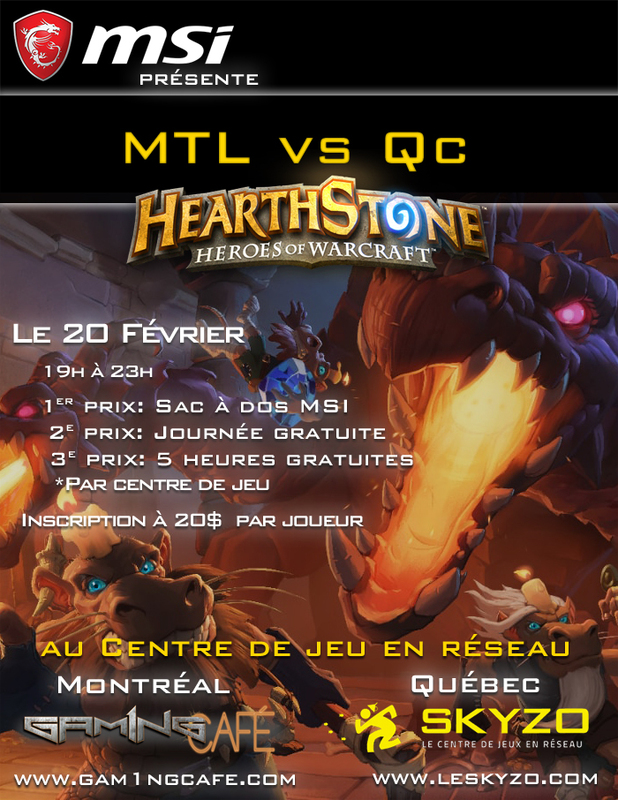 Gam1ng Café vs Skyzo Hearthstone | Montreal Gaming - Leader des esports au Québec (Qc). Friendly fireside Gatherings open to all Hearthstone fans! Swiss to top 8 Single Elimination, 32 players max, Conquest, Bo5 Standard Mode, One Ban & 4 Heroes pre-selected.